The history and heritage of distressed wood comes to life with abundant rustic charm and authentic character all found within the Revolutionary Rustics collection. Straight saw marks and the natural character of the species combine for a look true to naturally harvested wood, making each floor a one-of-a-kind beauty. Multi-width planks and a low gloss finish only add to the historic beauty. Constructed exclusively from 100% solid premium Appalachian hardwood, its organic beauty, strength and quality provide the durability needed to last a lifetime. And, with the protection of our Lifetime Finish and the assurance of a Limited Lifetime Warranty, you will love your floors for years to come. The beauty of brushed wood in the Revolutionary Rustics collection delivers a rustic, authentic visual true to the look of reclaimed wood. Textured by gently removing the soft portion of the wood, each plank features exposed grain and artistic techniques, such as liming and deep etching, which highlight the beauty of the natural wood. Beautiful knots and dramatic character marks further emphasize the depth and texture. Wider width and up to 7 long boards contribute to an upscale, expansive look, combined with a sliced face veneer for the beauty of a solid hardwood visual. Love your floor for years to come with the protection of our Lifetime Finish and the assurance of a Limited Lifetime Warranty. The history and heritage of distressed wood comes to life with abundant rustic charm and authentic character all found within the Revolutionary Rustics collection. Straight saw marks and the natural character of the species combine for a look true to naturally harvested wood, making each floor a one-of-a-kind beauty. Multi-width planks and a low gloss finish only add to the historic beauty. This engineered hardwood has the strength and quality to provide the durability needed to last. 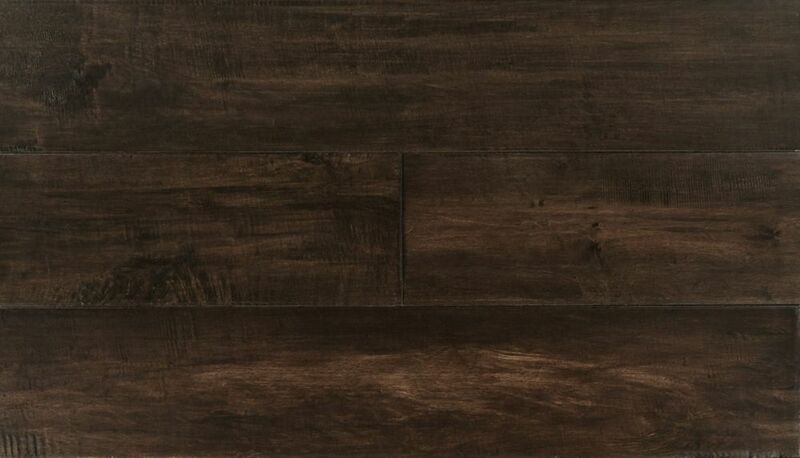 Power Dekor 6 1/2" Engineered Ashcombe Aged Oak 38.79 sq. ft.